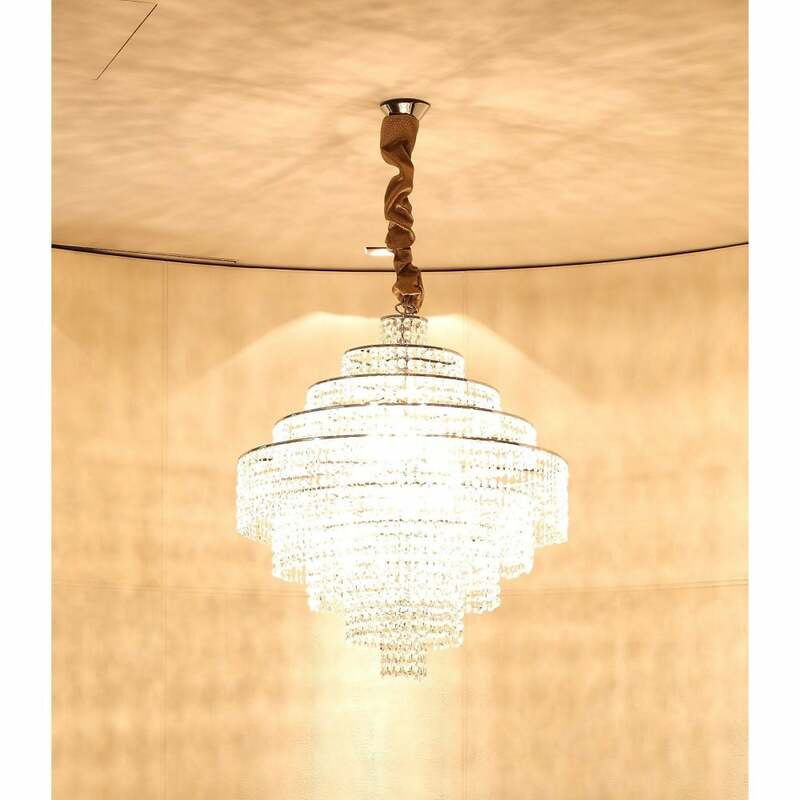 The ultimate designer accessory for any glamorous project, the Sky Chandelier by Rugiano Interiors is hand-crafted by skilled artisans in the heart of Italy’s fashion capital, Milan. A statement piece for a grand entranceway, dining or living room, the cord can be adjusted to suit the ceiling height of the space. Adorned with delicate crystals, the chandelier is treated like an expensive piece of jewellery. The crystals hang from a beautiful satin gold frame creating reflections and refractions of light. Choose from clear, coloured or Swarovski crystals. Combine with the Zoe Table and Arianna Chairs from the Rugiano furniture collection for a dining room scheme that exudes Italian glamour. Make an enquiry for more information.